Help Abigail Hildegard find her father ! 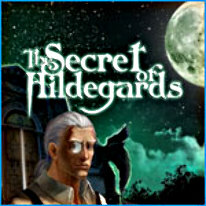 Help Abigail Hildegard find her father and wake Adalar from his dream in The Secret of Hidergards, a fun Hidden Object game! After her Uncle Talbot betrays the family and succumbs to the dark side, it's up to you and Abigail to defend the family and prevent the evil from being released back into our world! Explore amazing locations and stop Talbot from opening the dreaded Gates!